These are the instructions to set up an OpenVPN connection with NordVPN on your ASUS router that is flashed with ASUSWRT-MERLIN firmware. 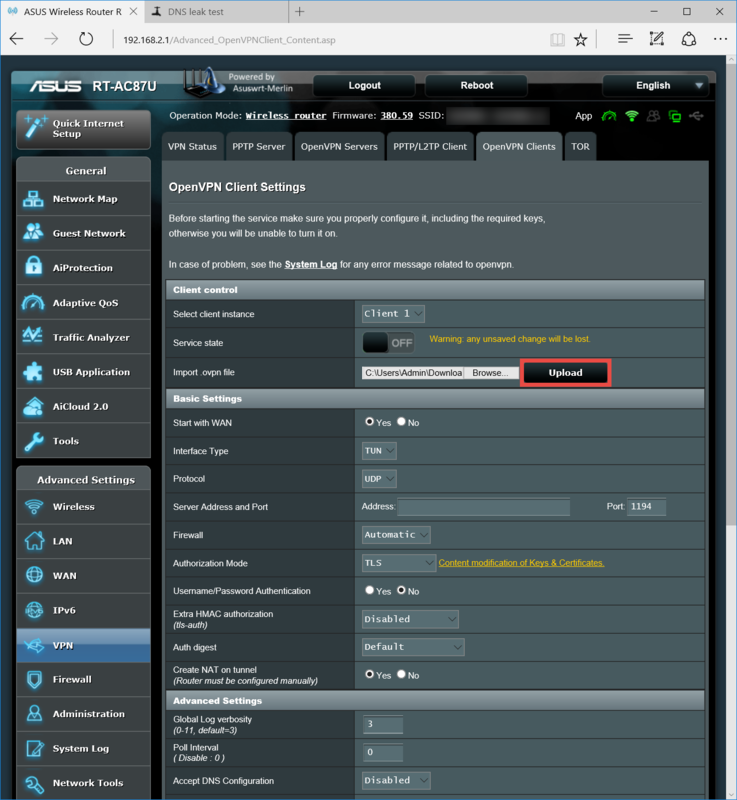 The instructions were made using an ASUS RT-AC87U with version 380.59 of the ASUSWRT-MERLIN firmware. 1. 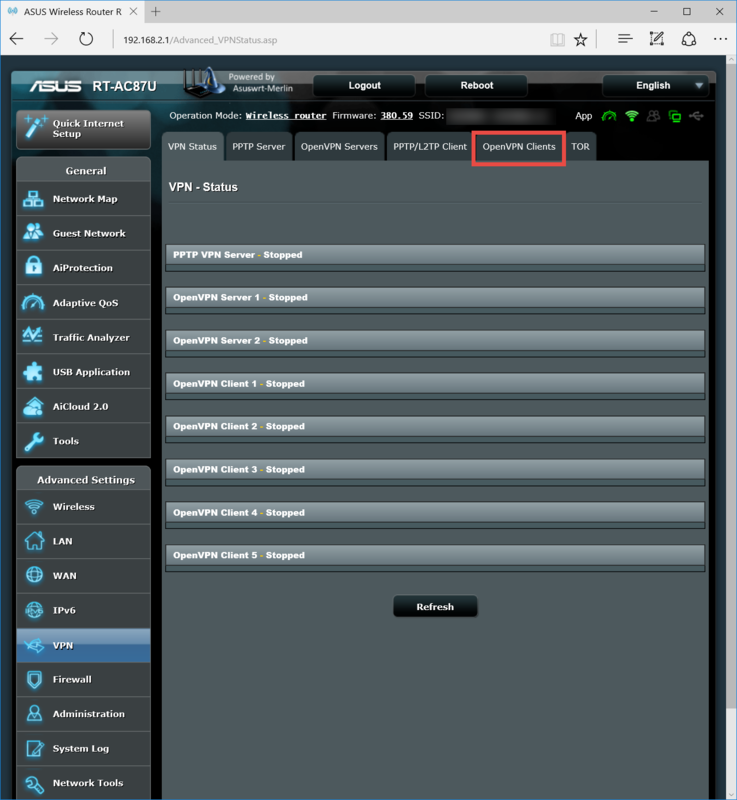 Before you can change any settings on your router, you first need to log into the router control panel. To do this, open your favourite internet browser (Internet Explorer, Microsoft Edge, Google Chrome, Mozilla Firefox, Opera etc.) and enter the routers address to the address bar. This by default is 192.168.1.1 Then, a prompt should display the option to enter a username and password. If you have never changed the username or password enter the default values admin for the username and admin for the password. 2. 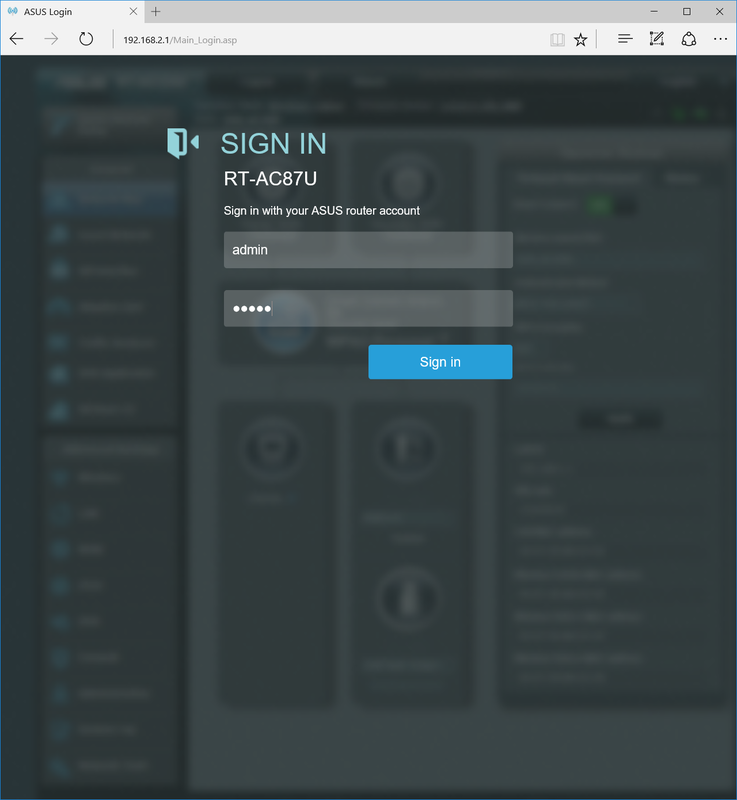 Click on the VPN tab on the left side of the window. 3. 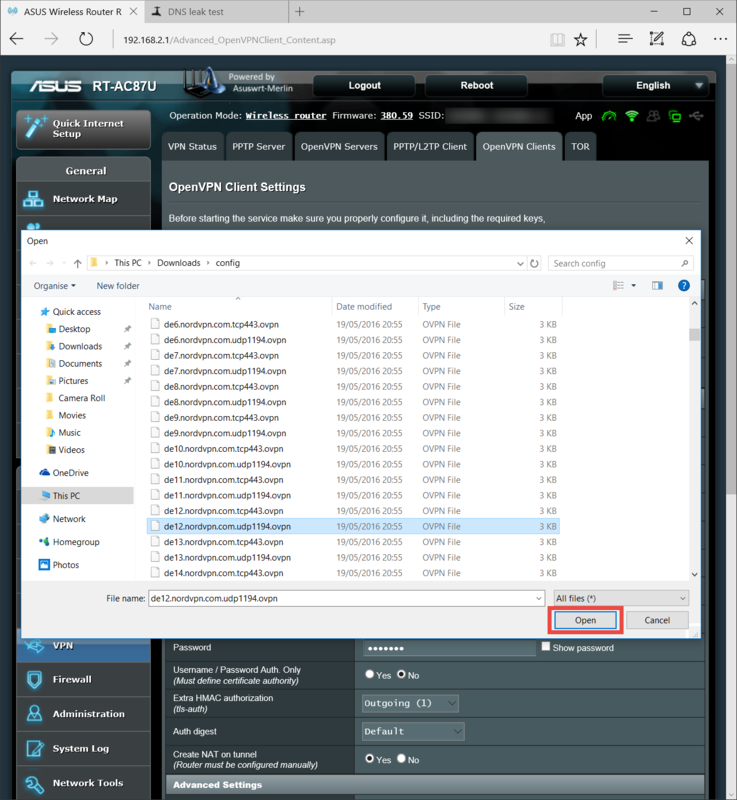 Click on OpenVPN Clients tab. 4. 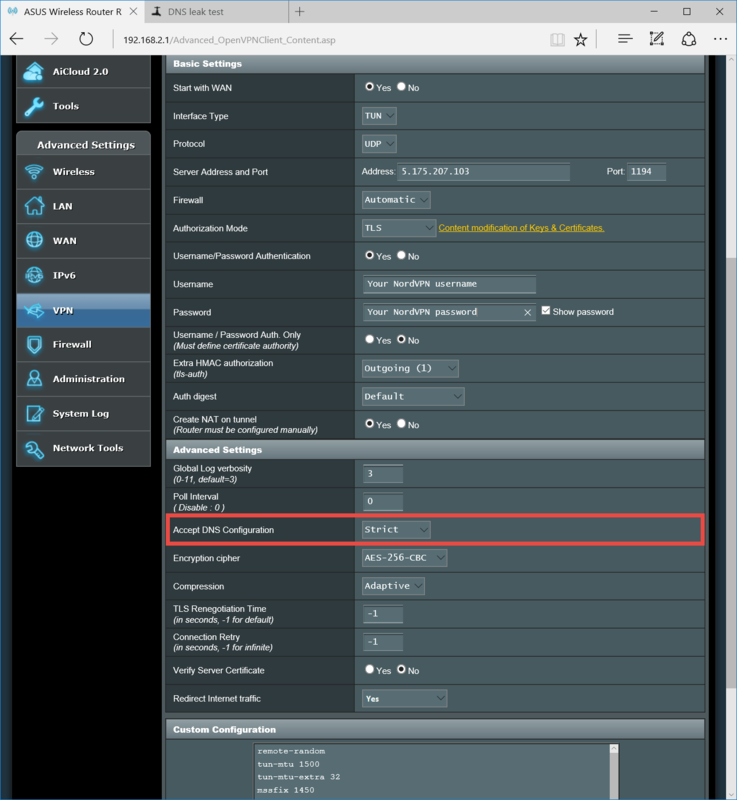 Now you need to download OpenVPN client configuration files. We recommend going into our recommended server utility here. 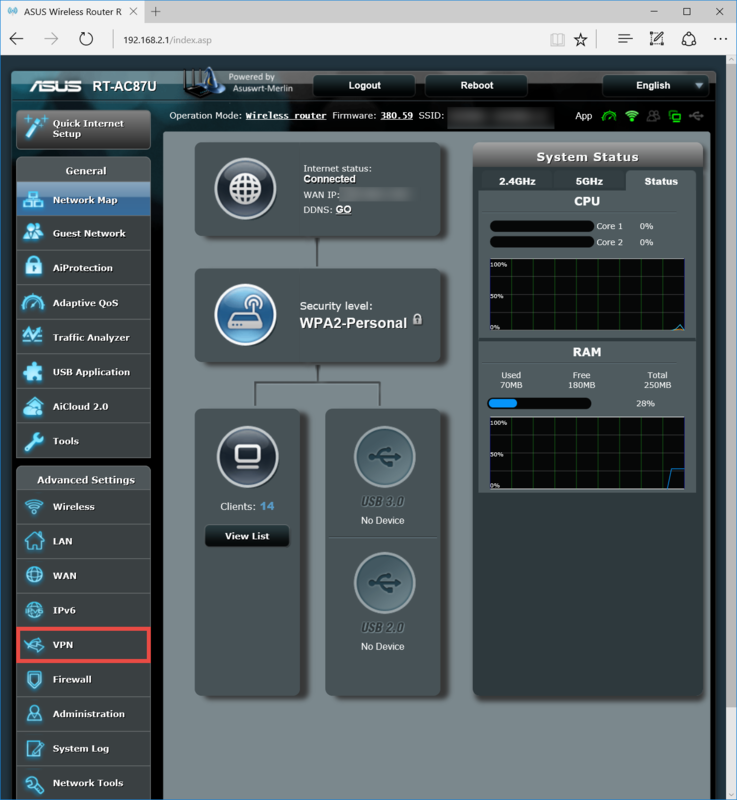 Get back to the Asus router control panel and click on the Browse… button. 5. Select a preferred configuration file the ones you downloaded from our website (if you did multiple) and press Open. If you need help deciding which configuration file to choose, feel free to contact our customer support team. They will be happy to help you. And one more thing – we would recommend you to use files that have udp1194 in their names. It means that the configuration will use UDP which is faster than TCP. 6. Click on the Upload button and wait until the page refreshes itself. 7. After the page refresh, most of the fields will fill in automatically. However, you still have to insert your NordVPN username and password. 8. Set Accept DNS Configuration to Strict if you are planning to use NordVPN on all your home network devices or set it to Exclusive if you will use it on specific devices. We would recommend you to set it to Strict. 11. Click on Apply button at the bottom of the page. Wait a bit for the changes to be applied. If you see the green ON button – you are connected! You can verify it by going back to VPN Status page or by checking your IP address at our website . 1. 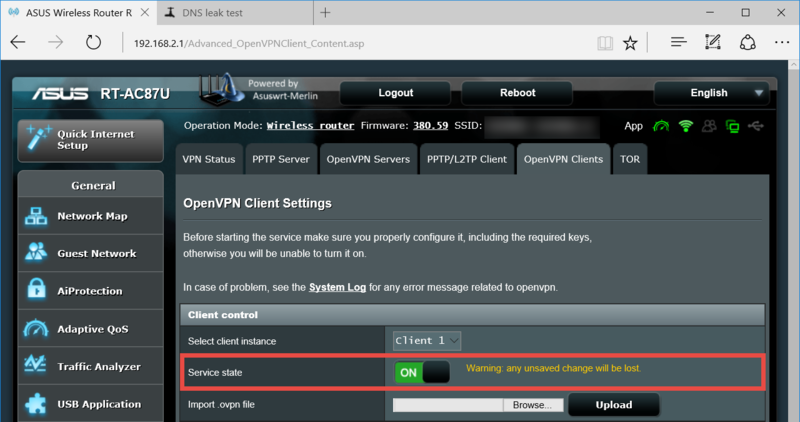 Navigate to VPN -> OpenVPN Client. 2. 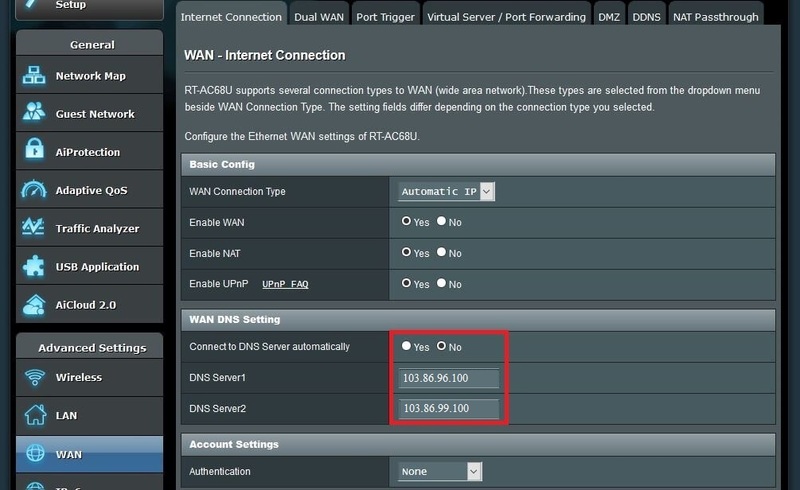 Under Advanced Settings select "Redirect Internet Traffic: Policy Rules"
3. A new option will appear "Block routed clients if tunnel goes down" which has to be enabled.